If you have just been bitten by the prepping bug, then our preppers guide, prepping for beginners is the perfect place to start. When we first started prepping the biggest question that we had was “where do we start?” It’s a pretty daunting task to try to prepare for everything that could possibly go wrong in life. So, what we decided to do in our preppers guide is to begin with the basics and build on that foundation. 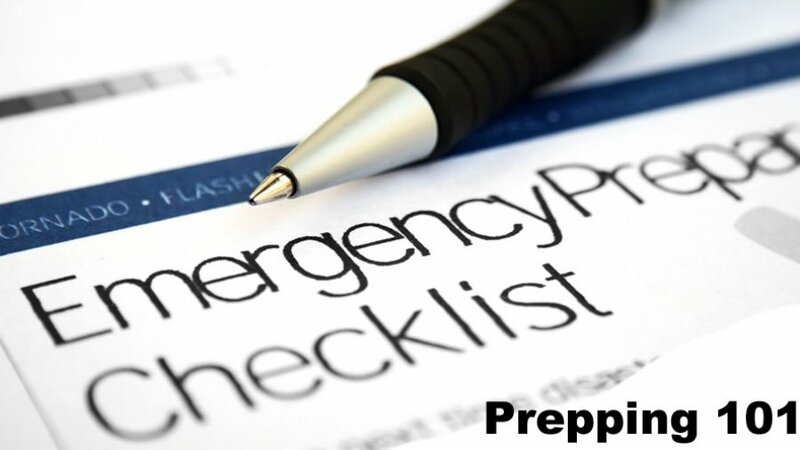 Whether you’re a seasoned prepper, or someone who is new to prepping, our Prepping for Beginners tutorial / guide will help you to be better prepared in times of emergency. We have cultivated this prepping for beginners preppers guide from our in depth research of prepping and have condensed the information into one simple guide to get you off and running with your preps. This abridged guide is meant to be a summary of the most important and basic needs that everyone should know about in order to protect themselves and their families should an emergency arise. After you finish reading our prepping for beginners preppers guide, visit our other tutorial sections as well as our video sections to learn more about the prepping and survival lifestyle. If you enjoy our prepping for beginners guide, please consider sharing this resource on your social media accounts to help everyone learn how to be prepared.